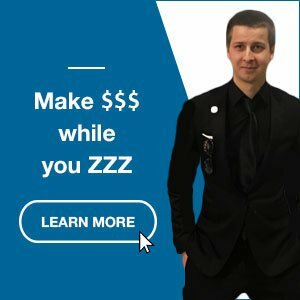 Clixsense Bitcoin: request a withdrawal and be paid in cryptocurrency? I read this article and found it very interesting, thought it might be something for you. The article is called Clixsense Bitcoin: request a withdrawal and be paid in cryptocurrency? and is located at https://howtogetref.com/clixsense-bitcoin/. Today, Clixsense, a paid-to-click launched in 2007 which is considered as one of the industry leaders, announced an upcoming change to their withdrawal process. Ps. if you have no idea how this program works, read our Clixsense Review here. PayPal, Payza, PayToo, Neteller, and Tango Card. Additionally, if you are a USA/Canada resident, you could also request a cashout through check. The paid-to-click giant deals with pending payouts coming from a large community – nearly 7 million registered members. For such a huge volume, it’s quite amazing how they manage to perform that task in a timely manner (usually within 4 to 5 business days). Clixsense Withdrawal: why a change, and which processors could be allowed? If you are a Clixsense member, you probably know it – Jim Grago, the owner, is used to clear withdrawal queue within a few days. It’s still the case, but the Clixsense administration is now seeking for some alternatives. Neteller has stopped accepting deposits from USA customers. Payza is currently having issues with USA deposits and ACH bank withdrawals and checks. At this time, there is no certainty as to which online payment processors may be added but they are considering to offer Skrill, Payoneer and/or Bitcoin. Clixsense Bitcoin: how could the system benefit from it? By enabling a cryptocurrency such as Bitcoin, Clixsense would get rid of a lot of struggles linked to country restrictions, transaction limits, and high fees. The cherry on the cake is that the Bitcoin value follow an upward trend and most of the experts expect it to rise further towards 2020. The only drawback is that Clixsense will need to find a way to deal with a potential extreme volatility of the bitcoin value between the time of the withdrawal request and when they proceed it. Clixsense Payment Processors: what are your thoughts? Coinbase as bitcoin processor is one of the biggest! I’m glad to hear that Bitcoin will be available !!! We’re not 100% sure yet on this but it is a possibility. Skrill – Completely useless. We submitted all of our documents to them well over 30 days ago and still no answer or reply to our requests. They own Neteller, so I guess I know where this is going. 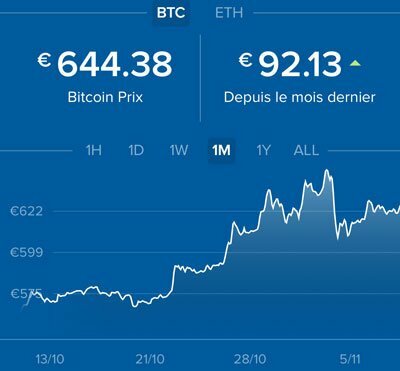 Bitcoin – Still a possibility, but a very long time in between communication with Coinbase. Our account is verified and ready to fund, just waiting on the final approval. Lets hope this comes soon. Payoneer – I had a call with them on Monday of this week and submitted all of the required docs. This is probably the best option for all members as they operate in over 200 countries and can fill the void that the other processors have left. If all goes well, we may have Payoneer within a week or two (but don’t quote me on that). Neteller and Payza will be removed as payment options from the site very soon. I was hopeful that Payza would work out but it does not seem like it will. I suggest if you have a pending cashout with either of these 2 to please cancel it, or submit a request and have us cancel it and change to one of our other options. And you, what is your feeling about it? Which processor(s) would you love to see implemented? Payza Fees: *THIS* error cost you 1% of your wealth… again and again! Testimonial : how to get direct referral online ? And at the end, this could change the whole industry. They just need to handle the payment process in a way that they do not risk to get hurt by the potential cryptocurrency volatility. Who knows maybe in future even AdHitz, the advertising network from the same team could accept Bitcoin! I ignored it for a while, but I’m glad I took the time to analyze and understand Bitcoin to get started. Nice decision from Clixsense. They will surely explode of they integrste bitcoins. And when you look into the advertising network that accept bitcoin as payment method, the offers being promoted there are really different. I think this can help to boost the interest to their advertising services and attract more customers. So I guess this may be beneficial, especially after the recent pricing increase (e.g the pricing on fixed ads recently moved from $10,000 to $12,490 — for a 250 days deal).